So what time of year is best to get married I am asked? I say, “anytime of year”, what season do you like best? Fall is my favorite season, I love the colors, the crisp air, the falling leaves, the smell of campfires and so much more. What’s not to love about fall? If you are looking to elope, you can be the queen of your party and do what ever you want, whenever you want, where ever you want. Most couples come elope with us, because they love the options of so many locations on our property to choose from for their ceremony. You like water, we have 3 ponds to choose from to stand beside, you love trees, we have lots of those to stand under or how about standing in the center of our beautiful rock moon gate? So, what ever you dream of for a fall wedding, we think we can make it work for you. Visit our website to see our packages and view our pictures on our social media sites to get a great idea of what we have to offer. Then, just give us a call, 325-646-4128 and let’s talk about your special day to get married. 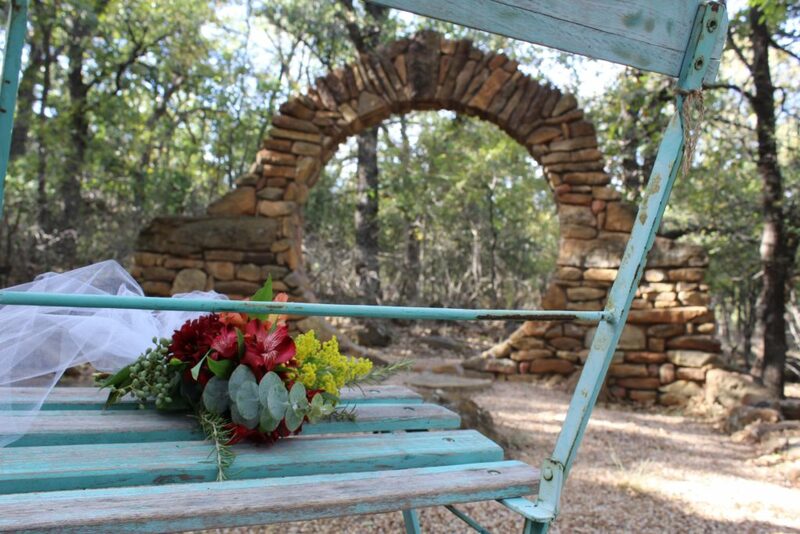 This entry was posted in Hill Country wedding packages, Texas Elopements and tagged b&b elopements, elope in Texas, elopement packages by admin. Bookmark the permalink.